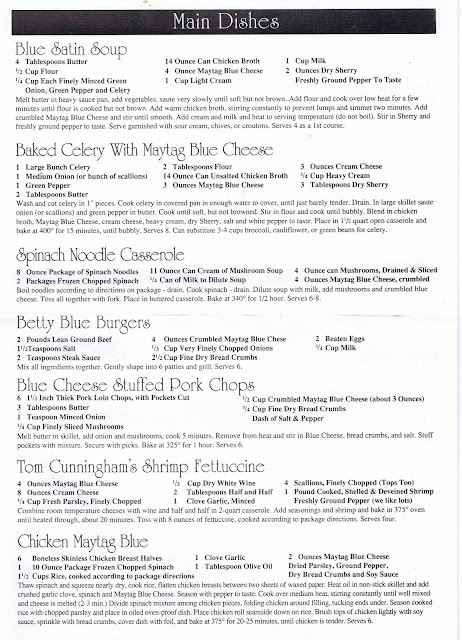 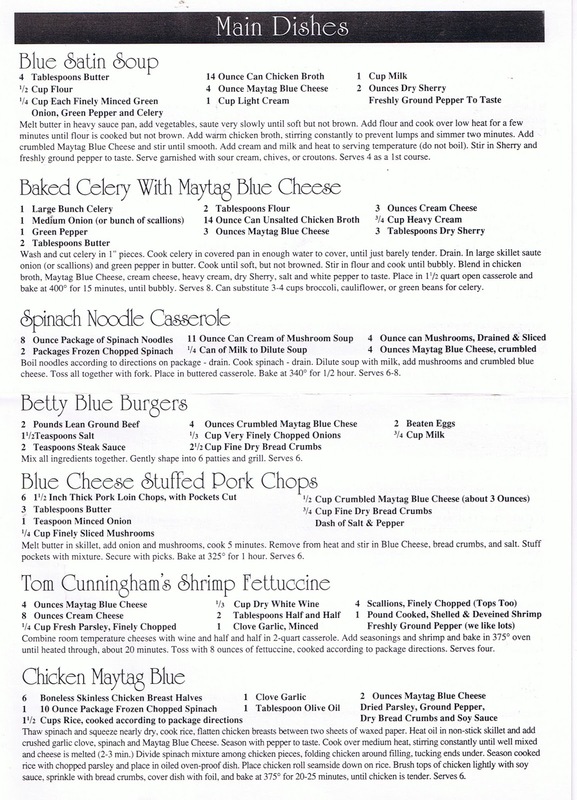 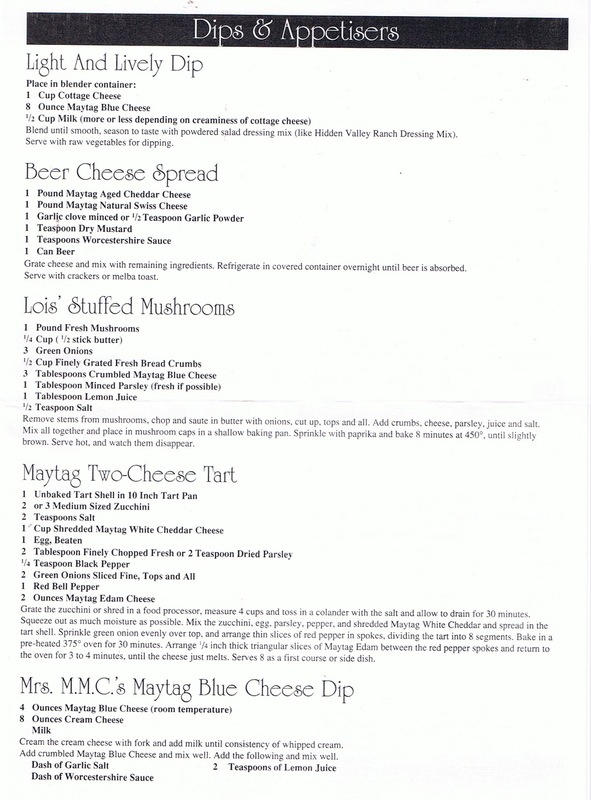 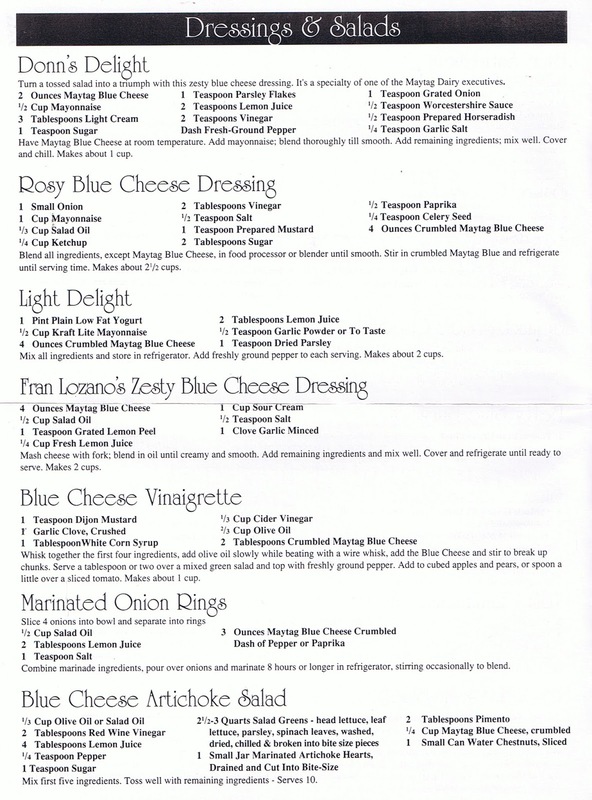 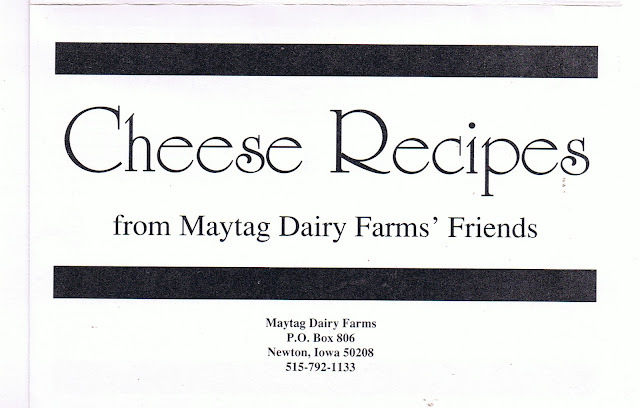 Along with the 1993-94 Catalog of Cheese Products from the Maytag Dairy, came some recipes. 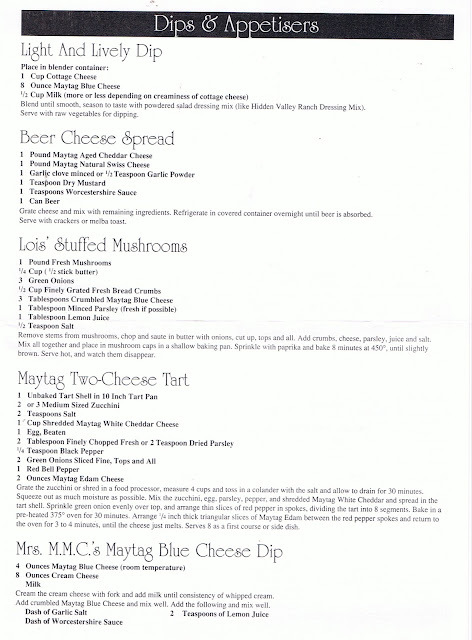 Culinary Ephemera at the Maximum. 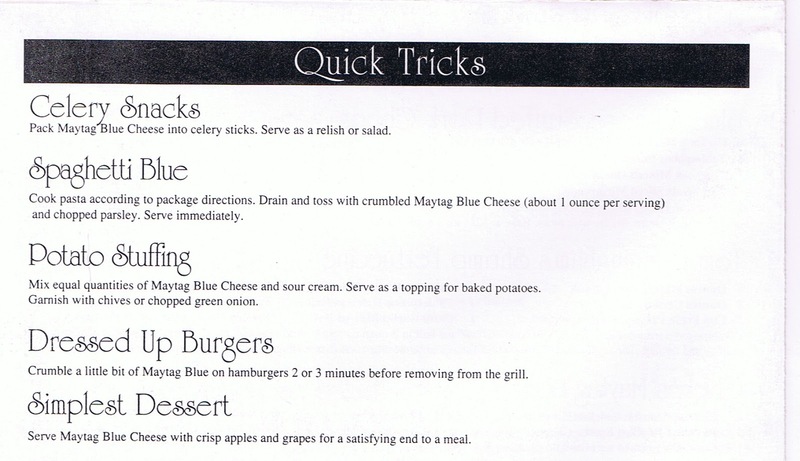 Below, the recipe Donn's Delight calls for a teaspoon of grated onion and I would substitute onion juice. Mince the onion and using a wooden spoon, obtain the liquid. 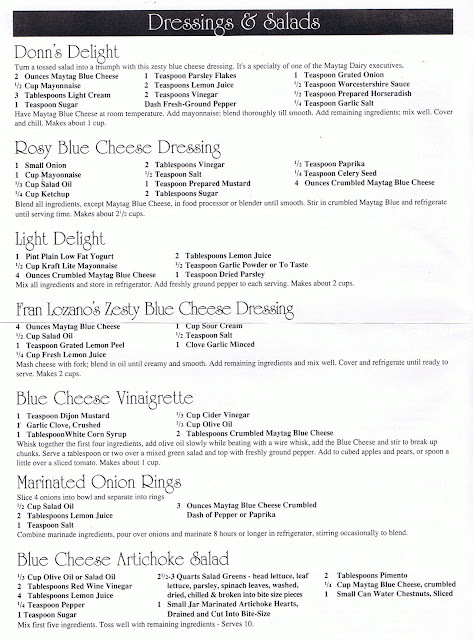 Discard the pulp.